Tilles Center for the Performing Arts, at LIU Post in Brookville, is Long Island's premier concert hall. It hosts more than 70 performances by world-renowned artists in music, theater and dance each season. 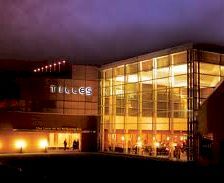 Tilles Center's Concert Hall seats 2,242 and features orchestral performances, fully-staged operas, ballets and modern dance, along with Broadway shows, and all forms of music, dance and theater from around the world. Chamber music, cabaret, solo recitals, and theater productions for children and adults are presented in the more intimate 490-seat Hillwood Recital Hall. The Tilles Center for the Performing Arts is one of the top New York City venues for concerts and other events. Don't miss some of the biggest names in music as they come to New York City area's Tilles Center for the Performing Arts to perform live.